OMAHA, NE. – The Sacramento River Cats were unable to resume their winning ways Monday night in Omaha, falling 6-0 to the host Storm Chasers. Former first round pick Chris Stratton was roughed up early, and the lack of offensive support from the Sacramento bats pushed the River Cats back to a .500 record. Tupelo, Mississippi’s own Stratton (3-5, 4.19) did not look his best Monday night, lasting just 5 innings. He allowed 6 runs on 9 hits during that time, walking 4 and striking out 4 in the process. The start ties the most runs Stratton has allowed in an outing this year (allowed 6 on July 22 vs. El Paso). Omaha got on the board early, plating two runs with two-outs in the second to take an early lead. They would strike again in the next frame, as the first six batters in the inning all reached base, with three scoring on a home run from Cheslor Cuthbert and then another run off a Stratton wild pitch. Sacramento was unable to manufacture many offensive chances in the game. Their only opportunities came in the first when Everth Cabrera made it to third with two outs. Again in the seventh, the River Cats got Joaquin Arias to third with two outs, but in both cases they would strand the runner in scoring position. The River Cats finished the night 0-for-6 with runners in scoring position. Right-hander Andy Ferguson (5-3, 3.16) looked very strong in his start for the Storm Chasers, as he worked 6.2 innings. Ferguson allowed just 3 hits in his shutout performance, surrendering no walks and striking out 2. Tuesday was the fifth time, and just the second time on the road, that the River Cats were shutout this year. The loss pushes the River Cats back to .500 (65-65) on the season. Sacramento is currently on a stretch in which they have finished the last 12 season with a winning record. 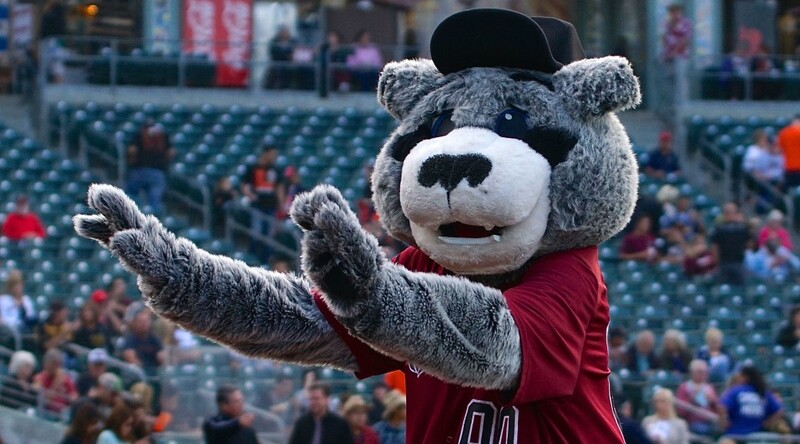 In order to secure a winning record this year, the River Cats must win seven of their final 13 games. In the history of the Pacific Coast League, no team has ever recorded 13 consecutive winning seasons. There was one bright spot for the River Cats on Tuesday, as pitcher Ty Blach was named PCL Pitcher of the Week for the week of August 17-13. Blach made two starts in that time, leading the league in innings pitched (17), ERA (0.53), opponents’ batting average (.107), and WHIP (0.53). Sacramento will look to get back on the winning side tomorrow night in game three of this four game set. It will be the right-hander Tommy Hanson (2-5, 6.43), coming off of back-to-back wins, for the River Cats. Opposing him will be righty Clayton Mortensen (7-9, 5.40) toeing the rubber for the Storm Chasers. First pitch is set for 5:05 p.m. (PT) and can be heard live on rivercats.com, or after the conclusion of The Rise Guys on ESPN 1320.